Arriving in Australia in 2016 on a humanitarian visa, Mr Hashem Qannadian worked in the jewellery design and decorating industry, using glass and crystal as prime materials. Born in Afghanistan, he lived and worked both in Syria and Lebanon, and speaks an array of languages including Arabic, Indonesian, Hazaragi and Farsi. His passion includes martial arts, especially the Wushu Sanda and kickboxing sports, and he has recently opened a kickboxing class in Adelaide. 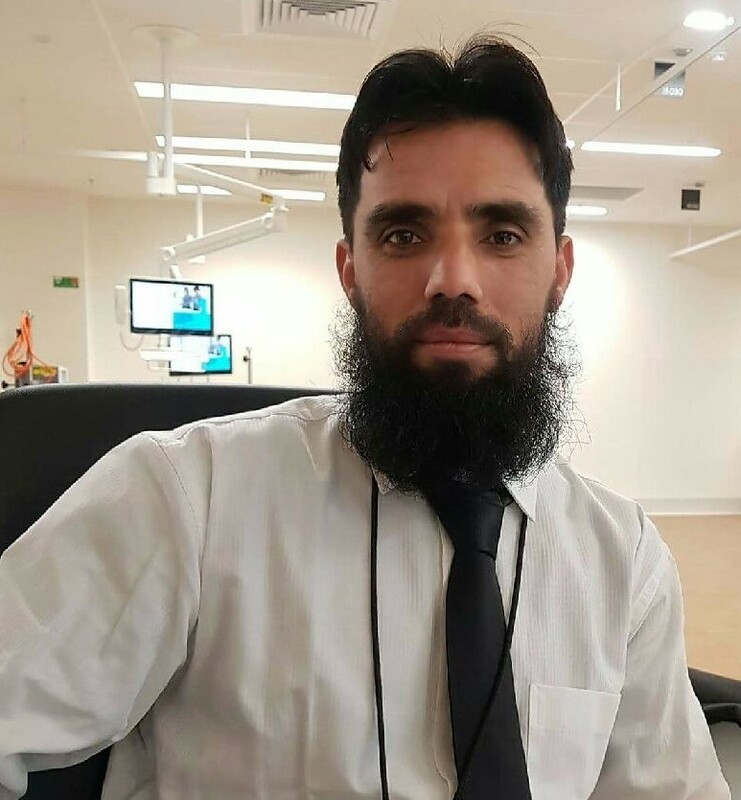 Mr Qannadian has been an active volunteer with the Australian Migrant Resource Centre (AMRC) and as part of his volunteering role, he has undertaken various workshop training sessions in Work Health and Safety (WHS) and understanding the Australian workplace. He jumped at the opportunity to work at the new Royal Adelaide Hospital (RAH) under the AMRC and Friendly Nations Spotless Project. He has already commenced working full-time as an orderly. “I cannot tell you how grateful I am to the AMRC for helping me get a job. I started as a volunteer and it opened up a pathway to this job. I have to pinch myself every day to make sure I am not dreaming,” he said. Resettling in Adelaide three years ago with a young family on a humanitarian visa, Mr Naqibullah Hakim previously worked in Afghanistan as a Cultural Consultant to the Australian Defence. Upon arrival, he was mentored by the Australian Migrant Resource Centre (AMRC) as a bilingual volunteer, receiving training in governance as an Ethnic Leader and conducting work placement for three months as part of the Work for the Dole program to further develop and refine his skills. An employment opportunity presented itself through the AMRC’s partnership with the Friendly Nations Spotless Project. 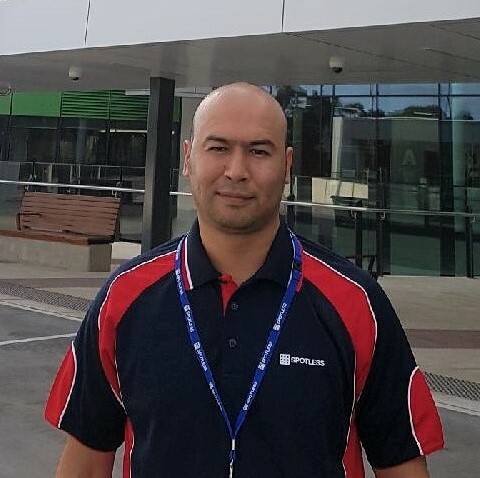 Offered two positions at the new Royal Adelaide Hospital (RAH) as part of the project, Mr Hakim decided to pursue a pathway in security. “I never dreamed I could get a job at the new Royal Adelaide Hospital. This has been a wonderful change in my life since I was introduced to the AMRC,” he said. 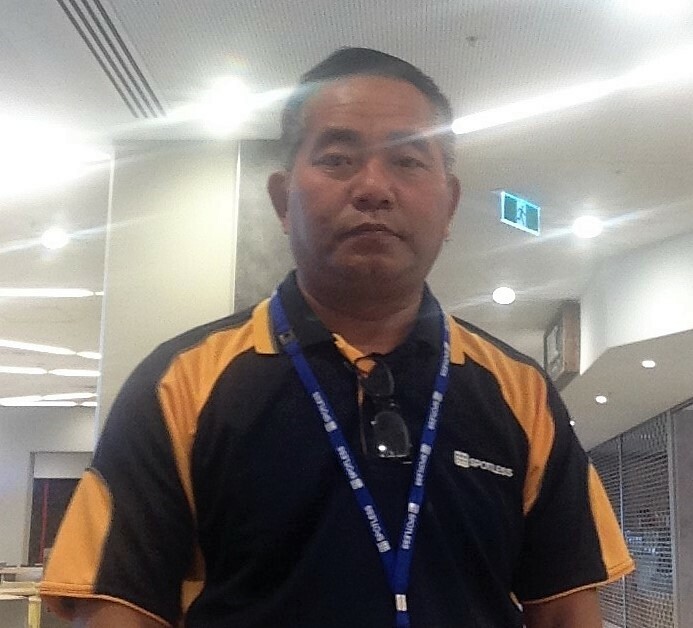 Mr Kap Mang from Myanmar has secured a cleaning job at the new Royal Adelaide Hospital (RAH) as part of the Australian Migrant Resource Centre’s (AMRC) partnership with the Friendly Nations Spotless Project. He previously worked as a small business owner and delivery truck driver in Myanmar before he later sought refuge in Kuala Lumpur. Recently moving to Adelaide from Perth with his family of four, Mr Mang was searching for a job when he discovered that the AMRC was assisting new arrivals to obtain a job. Deciding to seize the opportunity, he attended a three day pre-employment training workshop at the AMRC. Wearing his new uniform proudly, Mr Mang starts work at 2pm each day. “I’ve already started my first week at the new Royal Adelaide Hospital. “The hospital is big, so there is lots to clean. My leg muscles are very achy, but my heart is singing with joy. Thank you AMRC,” he said.